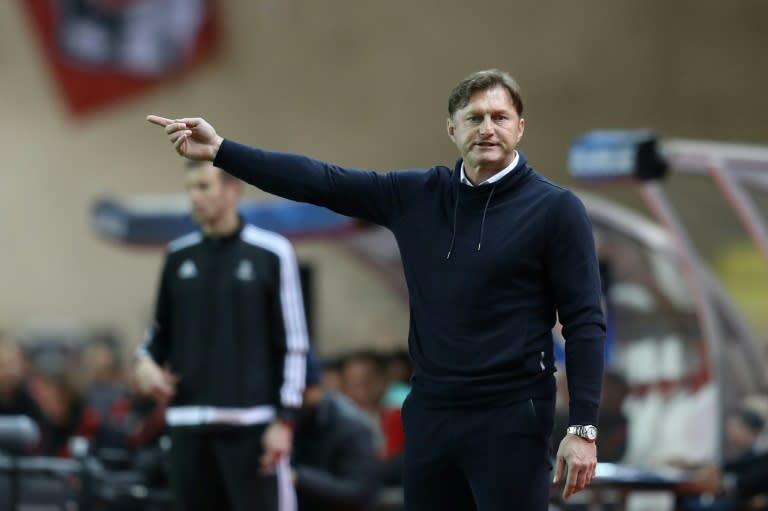 New Southampton boss Ralph Hasenhuttl on Thursday rejected his nickname the "Klopp of the Alps", saying he wants to forge his own reputation in the Premier League. The new Saints manager shrugged off comparisons with his friend and Liverpool manager Jurgen Klopp and prioritised dragging his new club out of the relegation zone. The 51-year-old will oversee just one training session before Saturday's league clash at fellow-strugglers Cardiff and called on his squad to push quickly up the table. Asked about his nickname and comparisons with Klopp, Hasenhuttl replied: "I have heard about it. I don't like it so much. "I want to be my own character and I know him very well," he said. "We were sitting in the football school together and made our pro licence together and I was always a fan of his football. "It was a very proactive way to play. I think he set marks in Germany with his kind of football and that really influenced my style, absolutely." He said it would be "fantastic" if he could enjoy similar success but the first target was to pull away from the relegation zone. "You can expect a very passionate kind of football with 11 characters on the field who know exactly what to do, what they have to show the crowd," said Hasenhuttl. "I know there are no guarantees of winning and the only thing we have is to work on chances. If you want guarantees buy a washing machine. Asked how he will handle becoming Austria's first Premier League manager, he said: "It means a lot of pressure on me because if I do badly the gap is closed for everyone else, so I should do it well. "But I'm not afraid of anything. I'm proud but this is only the beginning."